resort is located in a private gated resort community, within 240 acres of tropical forest intersected by crystal clear waterways and surrounded by a pristine Caribbean shoreline, 40 miles south of Cancun, near the town of Playa del Carmen. As a result of the recent restoration program, you can now enjoy an additional 30 meters of magnificent beaches at Fairmont Mayakoba, making it the largest beach in the Mayakoba resort community and one of the most beautiful beaches in the destination! 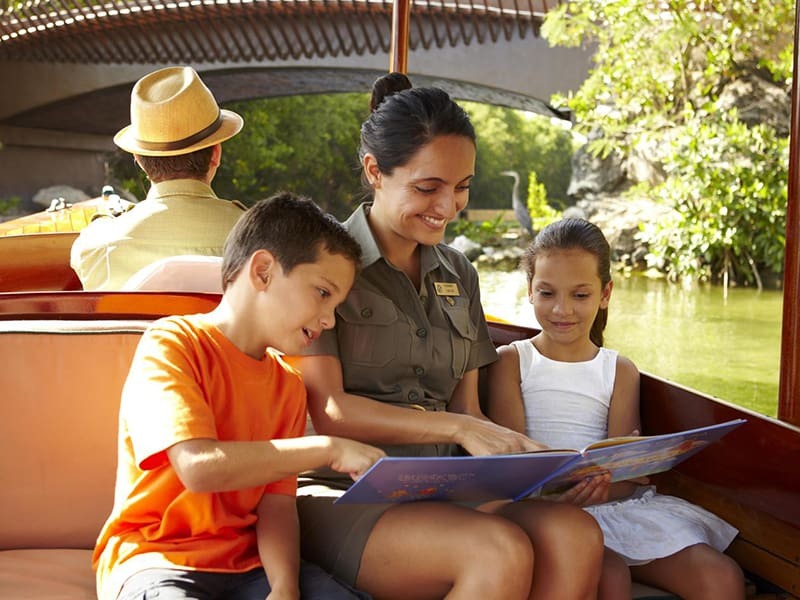 Fairmont Mayakoba, Riviera Maya is a kids paradise! The Discovery Club & Adventure Camp offers dynamic, cultural and educational activities to spark the creativity of even its youngest campers. Kids 5 to 11 can enjoy epic adventures in the sacred Mayan jungle and learn about planet Earth’s natural and cultural wonders, with the guidance of Iggi the iguana, Chamu the monkey and Balam the jaguar, create unique handcrafts such as “Penachos” (Mayan inspired head dress) or make colorful paper banners, piñatas or Origami, among many other fun activities.